All national systems employees are protected from unfair dismissal under the Fair Work Act 2009 (Cth) provided your salary is under the high income threshold and you have been employed for more than 12 months if you are employed by a small business employer. A small business employer is an employer that employs fewer than 15 employees at the time of your dismissal. This number does not include casual employees unless they are employed on a regular and systematic basis. The number may include employees of an associated entity of your employer. 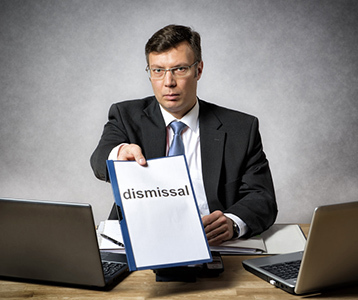 You may still lodge an unfair dismissal claim against a small business employer. However the factors that the Fair Work Commission takes into account are slightly different. However, the Small Business Fair Dismissal Code will be considered by the Fair Work Commission first before the factor of whether your dismissal was “harsh, unjust or unreasonable”. If your employer acts consistently with the requirements in the Small Business Fair Dismissal Code, the Fair Work Commission will not find that your dismissal was unfair. In Jingmin Zeng v Vectus Biosystems Ltd  FWC 5536 the Commission held that as the dismissal of Dr Zeng was consistent with the Small Business Fair Dismissal Code, it did not have to consider whether his dismissal was harsh, unjust or unreasonable and therefore the dismissal was not unfair. in the case of unsatisfactory conduct, performance or incapacity – whether you received any warnings prior to dismissal, the reason for dismissal and opportunities to respond and to improve. A copy of the Small Business Fair Dismissal Code and the compliance checklist for employers may be found on the Fair Work Commission and Fair Work Ombudsman websites. Is it legal for my company to install a monitoring service on my computer? What can I do if I am unhappy with a decision made by a member of the Fair Work Commission i.e extension of time hearing or arbitration?